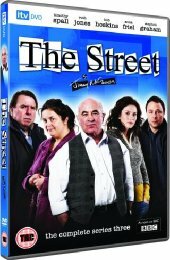 The popular Manchester-based drama from BAFTA award winning writer Jimmy McGovern (Cracker) continues with a glittering cast including Anna Friel (Pushing Daisies), Bob Hoskins (Mrs Henderson Presents) and Timothy Spall (Harry Potter And The Prisoner Of Azkaban). As usual, life in the street is never dull. When wounded soldier Nick returns from Afghanistan his hero's welcome is short-lived when his paranoia turns him into a monster. Meanwhile, the McEvoy household is thrown into turmoil when Margie leaves to take care of her elderly father. Will Eddie be tempted to stray?